If you've stuck by Stardock through the rough launch of Elemental: War of Magic, you'll be rewarded. Stardock had high hopes for Elemental: War of Magic, as the spiritual successor to PC strategy classic Master of Magic, but the game's launch in August was anything but perfect. Complaints that it was unpolished and over-ambitious led Stardock CEO Brad Wardell to label Elemental a "complete fail." Though Stardock has been furiously fixing most of the issues through patches, the company is also promising free content to all early supporters. Wardell announced in the Stardock forums that anyone who has purchased Elemental: War of Magic by October 31 will get the game's first two expansions absolutely free. He writes that the move is an attempt to show players that Stardock isn't trying to milk them and won't abandon Elemental like you might see with other developers of other games. 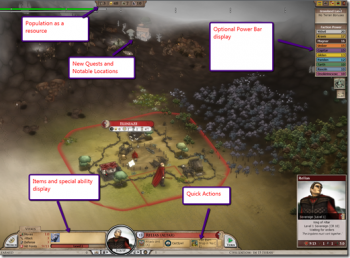 Additionally, Wardell went over some of the major UI changes Stardock is working on for Elemental's version 1.1. This version is said to be a major update that will ideally fix most of the headaches players were once experiencing. As far as poor launches go, Stardock has handled Elemental's better than any I've ever seen. Compare this to, I don't know, Fallout: New Vegas, where bug complaints have elicited responses such as: "Sorry, it's a big game." How about some free stuff too, huh Obsidian?